This important book is a dialogue on the theme of partition and its far-reaching sociological implications for communal patterns, generational dynamics and individual lives. While the governing imagery of partition is drawn from the context of India and Pakistan, the analysis compares similar processes in the context of Israel and Palestine and East and West Germany. Developing the concept of 'partition-societies', the volume succinctly explains the social, economic and political implications of such divisions. The lens of partition is used to focus on how societies that have experienced breaks and traumas are organized and constituted and the ways in which they deploy their understanding of the past to reconstruct themselves. The book enquires into ways in which local communities as well as wider national entities use their knowledge of the past. The international contributors to this volume show how this separation was of significance not only in the strict political sense but formed the basis for long-term processes of identity, of memory and inspiration, and the very basis on which different societies were organized. A fine piece of research that explores tragic stories about partition of land in major countries across the world, this book also looks into people's hearts....The book is reasonably priced for all the information that is packed in it. The editors have done a commendable job and papers have been selected carefully keeping all the major regions in mind. Besides research scholars, the book can be read by all those who are curious to have an impartial viewpoint. This book tries to grapple with partition both as reality and metaphor. It touches subjects as far apart as the East and West German divide, a Palestinian village on the Israeli border, Curzon and Bengal and even the Hindu-Muslim divide in Bhopal. This important book is a dialogue on the theme of partition and its far-reaching sociological implications for communal patterns, generational dynamics and individual lives. 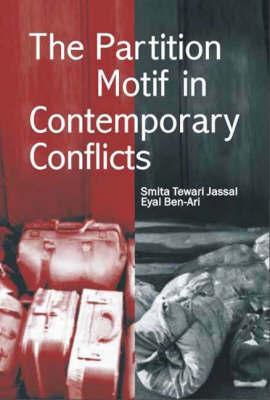 The book vividly explores the implications of partition motif for resolving contemporary conflicts. It also analyses post-partition transition of societies.... This book is a must read for the policy-makers as well as intellectuals, if not for lay readers who may find it a bit too pedantic to comprehend in totality. It also serves as a useful document on divided societies and their sense of rootlessness.